As someone on a plant-based diet I often get asked where I get my protein from, and whether I get enough protein when I eat this way and the answer is that actually it's incredibly easy to get plenty of amazing protein through plant-based sources and often these foods are much better for us than eating a steak or a chicken burger. My blog isn't about converting anyone to veganism, it's about putting the emphasis on the importance of plant-based foods and encouraging you to eat this way even a little bit more, so hopefully this post helps you understand more about protein, how our body uses it and the best plant-based sources. Let me start by saying we don't actually need an enormous amount of protein in our diet - yes, it's extremely important for the overall health and function of the body but in enormous amounts it can actually be deadly. Studies have shown that over-consuming protein leads to chronic diseases (like cancer and diabetes) and major inflammation in the body, and protein deficiency is practically non-existent in industrialised countries. In the UK adults are advertised to eat 0.75g of protein for each kilogram they weigh - for example if you weigh 11 stone you should eat around 52g protein a day, and if you weigh 9 stone you should eat about 43g protein a day, but on average men should eat 55g protein and women 45g per day. In reality men and women generally eat almost double their recommend intake of protein a day, and this isn't good for us. Consuming too much protein puts pressure on the kidneys, and specifically animal protein excess is linked with kidney stones, and some research suggests a link between too much protein in the diet and cancer. If you're following a well-balanced plant-based diet it's super easy to get all the protein you need and it's found in far more foods than you probably thought! You can also get some brilliant all natural plant-based protein powders such as hemp powder, brown rice powder and pea protein powder. I'm a lover of all of these and add them to my smoothies in the morning to help me power through until lunch! So, if I had a smoothie for breakfast with banana, spinach, pea protein & rice protein (1tbsp each) and almond milk, a salad for lunch with kale, tomato, red pepper, chickpeas, tahini and olive oil, almond butter and a brown rice cracker for a snack then 3 bean chilli with brown rice for dinner that's 45g protein for the day...perfect and easy peasy! Proteins are long strings of amino acids. There are 20 different amino acids you need for good health, but unfortunately our bodies only make 11 of them, whilst the remaining 9 are referred to as essential amino acids that we must get through diet. Foods that contain all 9 of these amino acids are known as 'complete proteins'. Meat is a complete protein source, however it also contains harmful hormones, fats, cholesterol and other nasties that we shouldn't consume much of (preferably not at all). Plant-based complete proteins contain a wealth of antioxidants, nutrients, water and fibre and they can be found in quinoa, hemp seeds, hemp powder, buckwheat, chia seeds, spirulina, soy and pea & rice protein powder blend. A lot of other plant-based protein sources are actually only slightly incomplete, and as long as you're eating a variety of foods you're bound to be getting all the complete protein your precious body needs. I'm not going to tell anyone not to eat meat, but I would recommend keeping meat consumption down to 2-3 times a week and to not make it the main focus of your meal. In addition to this you should always avoid factory-farmed meat and look out for responsibly sourced fish - remember that when you eat that animal you're also eating everything they ate before they got to your plate, and the way they were treated effects your body a great deal. An unhealthy animal is unhealthy food, so we want to avoid the horrors of unsanitary, inhumane factory farms at all costs. 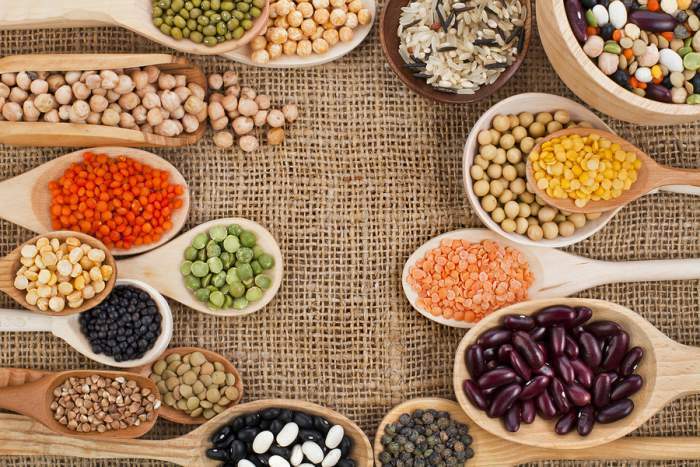 I hope this has helped you understand about plant-based proteins a little more! It's time to embrace natural food, dine of delicious plant-based cooking and discover how wonderful our bodies can feel when we fuel them with these amazing nutrients!